Your recorder is packed with powerful features, like voice enhancement, tagging, and editing. Record meetings and conversations. Enable ( ) to reduce background noise and enhance voices. Record concerts and general soundscapes. Disable ( ) to equalize sound across a space. Tags: Mark important parts of a recording so you can revisit them later. 1. 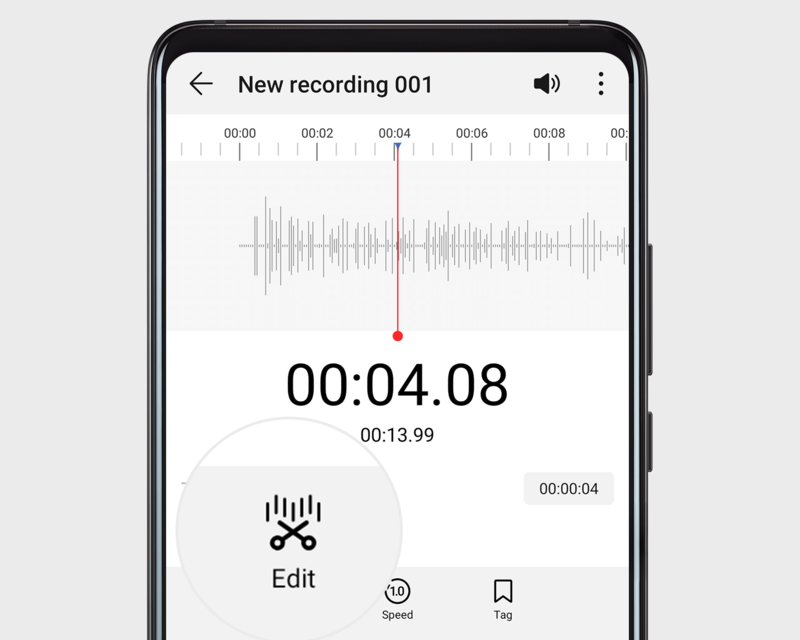 Go to Tools > Recorder, and touch to start recording. 2. Touch Tag to create. To rename, touch the tag name. Editing: Open a recording, and touch Edit to shorten it or cut out the parts you don't need.